I’m finishing up my tour right as summer is ending. 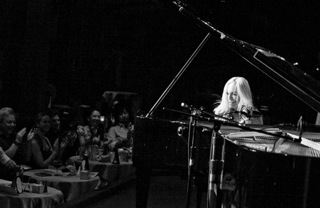 I’ll be in Seattle at Jazz Alley, (www.jazzalley.com), on August 30 at 8:30 – that’s 8/30 at 8:30 – easy to remember! It’s part of a larger showcasing so there will be lots of music to hear that night. I will play a short solo set. Then coming up September 14th I’ll be at Cafe 939 in Boston at 8pm (www.cafe939.com), then that’s it for now – I’ll be composing. I’m ending up the summer with a short trip this weekend and then family in for Labor Day. Yep, the BBQ will be fired up, and hopefully the good weather will hold. I have a “new” website – we’re not quite done, but please check it out, and a new video up on YouTube: “Jack & Jill”. Please check them out with the links below, and let me know what you think, ok? I’m very thankful that UNDERGROUND has been doing so well at radio, and continues to do well on charts even now. I am interested in timeless music, and it is a great feeling knowing that we are creating music that the world loves. Thank you to everyone at radio for playing us, those who have come out to the performances and bought the CD too. This all means a lot to us! Please tell your friends too. Take care and enjoy the last few days of summer!